An Ask Pastor Tim where Tim answers the question, "Has the gift of tongues ceased"
Is there still a prophetic element today in the church? Is this biblical? Therefore I want you to understand that no one speaking in the Spirit of God ever says 'Jesus is accursed!' and no one can say 'Jesus is Lord' except in the Holy Spirit. The Lord designs some to specifically have a special calling to preach that is above and beyond the norm. It is God alone who knows how to create a preacher. But men, I want to say this. We need to be a church of men who are content in the way that God has made us. We need to be content with the gifts that God has given to us. How Should We Interpret Dreams? How should we interpret dreams that appear to be supernatural? Does God give dreams to people that communicate something to them? Fire can not only be quenched from dousing water on it, but it can also die just by letting it sit there. The same principle applies to our spiritual gifts. The nonsense of slaying a congregation in the Spirit by the breath of one’s mouth and the sweep of one’s coat may have something to do with crowd psychology but little with New Testament unction. 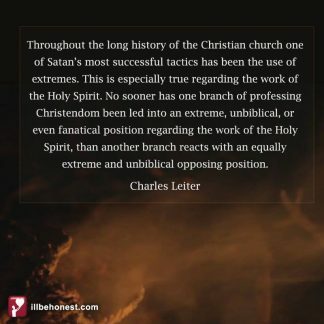 Throughout the long history of the Christian church one of Satan’s most successful tactics has been the use of extremes. 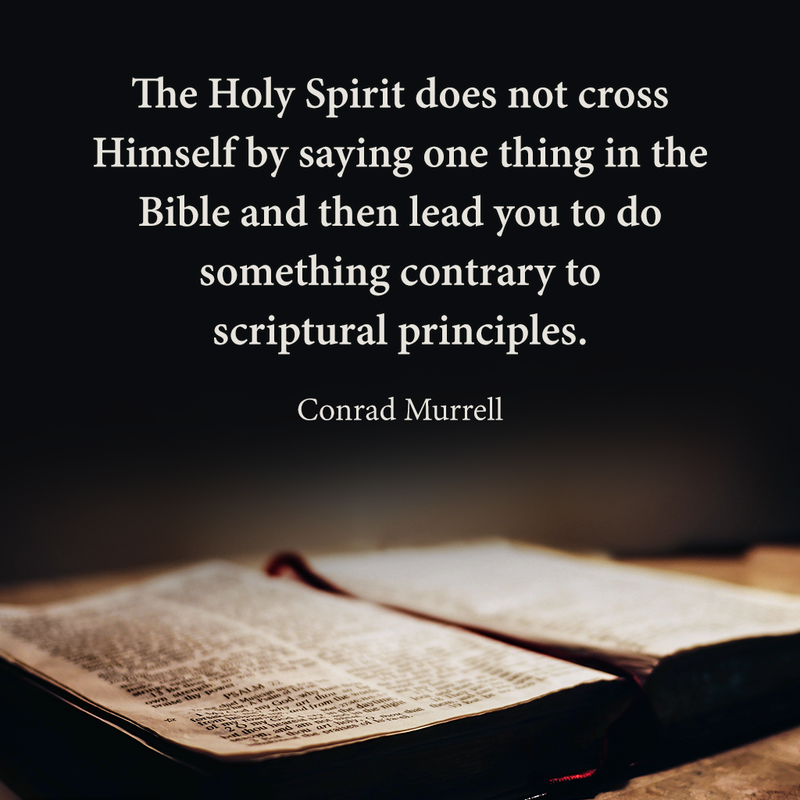 This is especially true regarding the work of the Holy Spirit. 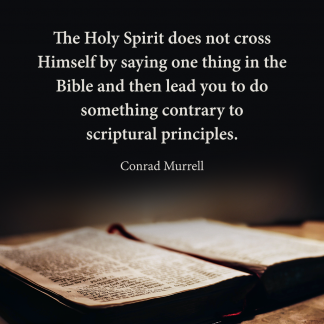 No sooner has one branch of professing Christendom been led into an extreme, unbiblical, or even fanatical position regarding the work of the Holy Spirit, than another branch reacts with an equally extreme and unbiblical opposing position.